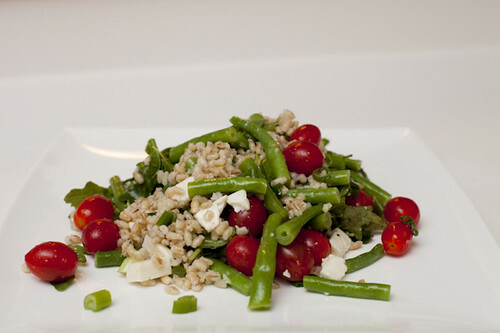 green bean+barley salad | .liveit.loveit.blogit. Ok, first things first… Before we go too crazy talking about Debbie’s delicious salad, go enter in the draw to win two super amazing prints from January Jones Prints! No one has entered yet, so that means you have pretty much a 100% chance of winning. 100% chance people! Second things second… A huge shout out to my friend Del for connecting with me on Google Friend Connect! Yay Del! Unfortunately the sidebar is acting up so I need to work out some kinks. Usually, you will be able to join our party way over to the right (under the heading “let’s connect”)! It’ll be fun! And now to the meat vegetables of the post (it is a vegetarian salad, after all). It’s that time again folks! Time for another delicious recipe from my sister-in-law Debbie’s amazing cookbook. Lots of you have told me you are fans of Debbie’s steak and mushroom salad, and who wouldn’t be? It has steak, it has mushrooms, and most importantly… it has bacon. But, as the weather gets warmer and we start worrying about our bikini (or board shorts, or speedo, whatever) bodies, maybe a salad that includes bacon-fat fried mushrooms isn’t quite the best thing to eat. 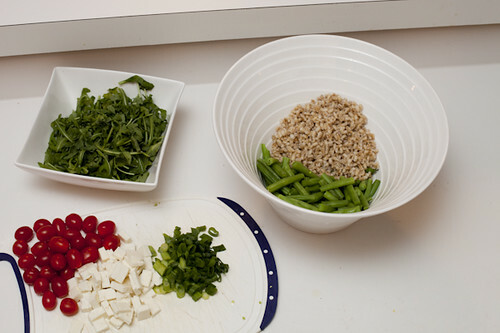 So today I present Debbie’s Green Bean and Barley Salad. An (almost*) equally as delicious, vegetarian (but not vegan) friendly, and much much healthier, alternative. *Seriously guys, there is no steak, or bacon or bacon-fat fried mushrooms in this one, it’s never going to beat out the other guy in a race to delicious. But it is still pretty darn amazing. 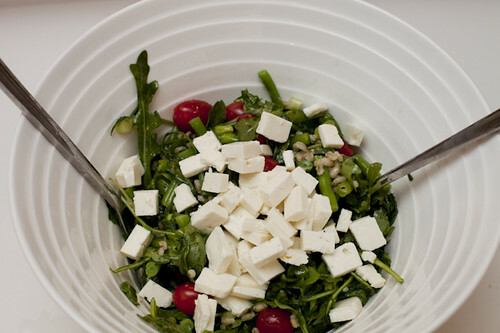 The hubs and I eat this salad as a warm meal unto itself, but it would be just as tasty chilled at a picnic. Or as a supporting dish at dinner. It’s seriously yummy. Part of what makes it so yummy is barley. I love barley. Ever since I was a little kid and my grandma’s chicken soup included barley I’ve been a big fan. But only recently have I come to realize just how versatile it is. I always have a big (2 kg/4 lb) bag of barely in my cupboard, because who knows when the barley urge will strike! I also love green beans. Is there a more prefect vegetable? Other than asparagus, I’m not sure there is. So go off and get cooking friends, you won’t be disappointed! 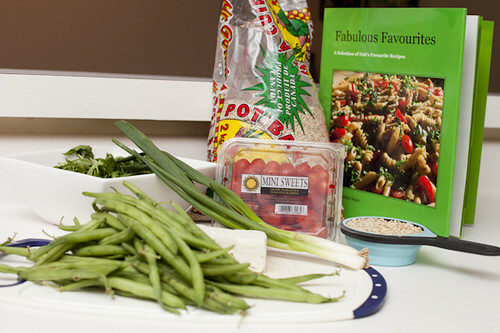 PS – Go here to buy Debbie’s cookbook for more delicious recipes. Just do it. You know you want to. 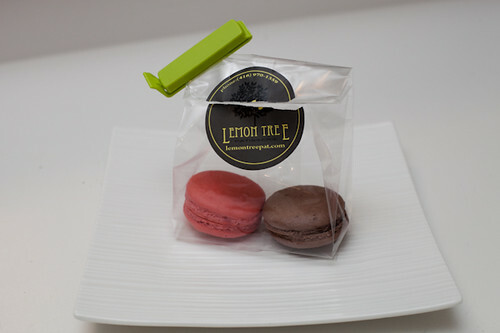 We followed up dinner with our favorite macarons from Lemon Tree Patisserie. Y.U.M. Serves 6, or 2 as a (really big) meal. 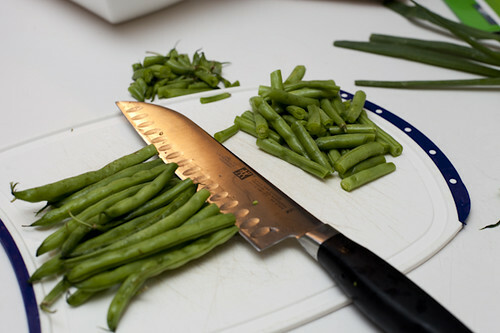 Trim beans, cut in half then blanch in saucepan of boiling water until tender-crisp, about 3 minutes. Cool in ice bath, drain and pat dry. Meanwhile, in pot of boiling salted water, cook barley until tender but still chewy. Drain and let cool for 5 minutes. 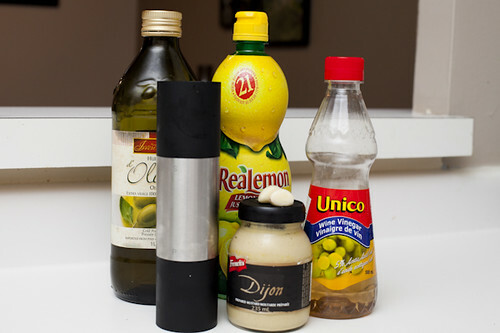 In large bowl, whisk together oil, vinegar, lemon, garlic, thyme, mustard, salt, and pepper; add barley and beans tossing to coat well. 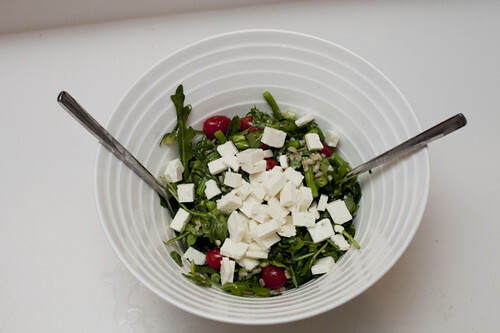 Add arugula, tomatoes, and green onions, tossing well. Stir in cheese and eat right away, or let stand for up to one hour or refrigerate for up to 4 hours and stir in cheese before serving! This recipe looks incredible! Any salad that includes green beans, garlic, thyme, AND arugula – which gets my vote for most delicious leafy green – has to be something special. Next time I have a special event or potluck to cook for, I think I’ll try this!